Hub Invest offers a unique fast-track for investors to begin startup investment – to become angels. 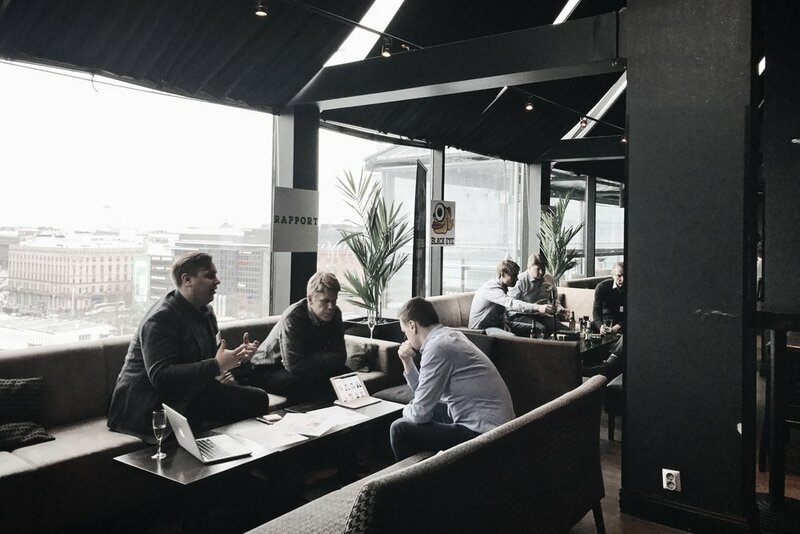 Previously, tens of new angel investors have gone through the Hub Invest programme, generating new active members of the Finnish angel investor scene. And now, we want to continue along that path by offering the chance for many more investors. The programme combines the essentials of angel investment into a neat package – designed to suit both experienced and starting angel investors. Among many things, Hub Invest consists of training sessions led by industry leading experts – VC funds, seasoned angels, attorneys – followed by an opportunity to meet and negotiate with carefully selected, screened startups. The core aim of the programme is to facilitate investment discussions between selected startups and investors. Startups, who are looking for funding, are selected by the Hub Invest Screening Board, consisting of experienced startup screening professionals. The selected 15 startups are then matched with investors at Hub Invest Final Day, on the 31st of January 2019. After the Final Day, we will continue to assist in facilitating investment discussions with startups of your interest. Training sessions led by industry leading experts – themes suiting everyone from investors completely new to angel investment to ones with angel investment experience. We offer two types of training sessions during this batch of Hub Invest: a general training to provide an insight to the fundamentals, and an in-depth training for more detailed insights into the practices of angel invest. Each batch of Hub Invest gathers tens of investors under the same programme – all joined together by a shared interest towards startup investment, new and experienced. During the programme, you have a tremendous opportunity to network with like-minded investors. And not just network, but to even invest together – syndicate investment is a carrying theme in Hub Invest, and we assist in forming these between investors interested in the same startups. All events are organized in Helsinki, Finland, as evening events. General trainings have similar content to each other, so you can just choose either to attend. In-depth training is mandatory for all investors attending the Hub Invest Final Day. The programme is open for all customers of Danske Bank Private Banking, but we also welcome other investors – just let us know of your interest towards the programme on this page, and we will get back to you. You can be just interested in becoming an angel investor, or already have experience in the field. Attending the programme requires a registration beforehand, after which we will invite all participating investors with more detailed information. To participate, please fill and submit the form below. Hub Invest is free-of-charge for all investors. If you are interested in participating the Hub Invest programme as an investor, please complete the form below. We will then get back to you with further details on attending. By selecting this, we can provide you with more information on Danske Bank Private Banking services. This doesn't bind you to anything.